Audio conferencing is something central to an organization’s success, enabling the level of communication and collaboration required to land the next big client, craft a corporate strategy or simply ensure all teams members are on the same page. With an ever-present demand for robust audio conferencing solutions, sometimes toes get stepped on. 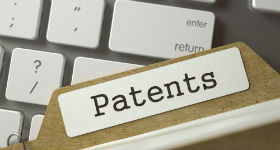 ClearOne announced the addition of a new patent in its infringement case against Shure. Initially, ClearOne claimed the Shure infringed upon ClearOne’s U.S. Patent No. 9,635,186 lawsuit, and now it is tacking on U.S. Patent Number 9,813,806 to protect its approach to “Integrated Beamforming Microphone Array and Ceiling Wall or Tile,” technology. In specific, ClearOne views the Shure MXA910 in clear violation of its intellectual property. It joins the Shure P300 audio conferencing processor in the legal proceeding. While, sure claims the case against the Shure P300 are unenforceable, and it seems the burden of proof falls on ClearOne to illustrate irreparable harm in order for the legal battle to gain traction. Preliminary hearings began a couple weeks ago, but I would expect it to be some time before we get final word from the courts. Conferencing technology is a key cog in the wheels of industry, and these types of situation are inevitable in this highly competitive arena. What audio conferencing system does your business use?